Perhaps one of the best engines Mercedes ever built. 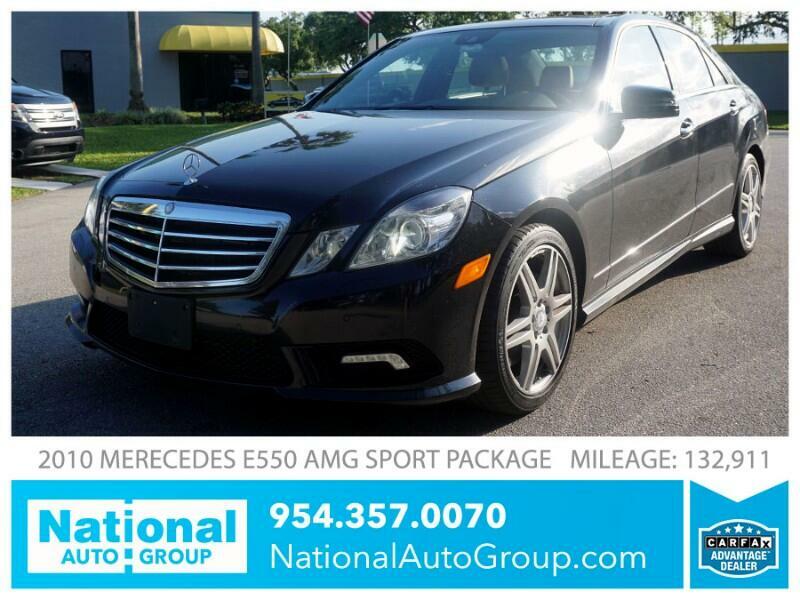 This 2010 Mercedes-Benz E550 AMG Sport Package offers a 5.5L V8, 382 horse power naturally aspirated engine, 7 speed automatic transmission, all wheel drive. 24 highway mpg, 16 city mpg. This is a 2 owner car with 15 reported service records to Carfax. No accidents, this car is in extremely clean condition. No scratches or dents on the Exterior. The interior condition is perfect, no scratches or wears on the leather. Fully loaded with AMG Sport rims, steering wheel, body kit. This car has navigation, rear view camera, fully glass panoramic sun and moon roof, top of the line Harmon Kardon sound system, front & rear parking sensors, front and rear heated and cooled seats. This is an extremely well priced car for those looking for luxury without having to spend a fortune. Message: Thought you might be interested in this 2010 Mercedes-Benz E-Class. Disclaimer: All vehicles subject to prior sale. We reserve the right to make changes without notice, and are not responsible for errors or omissions. All prices exclude government fees and taxes, title and registration fee, dealer charges, and any emissions test charge. All prices and specifications are subject to change without notice. Vehicle price is based on cash. Finance price may differ based on customer’s approved credit. For more details please call us at: 954-357-0070.